As summer is dwindling and the Fall months approach and all those wonderful holidays, it is easier to let yourself go a little. Hey, we've all been there. Unfortunately, you get to the other side of those holidays and have a little extra padding in the stomach area. So what is the most common exercise for the abs? Basic sit-ups, right? Have you ever sat up after your crunches and you feel more pain in your back than your stomach? That can be frustrating and likely to deter you from trying to exercise your abdominals again. Thankfully, we have some effective and chiropractic-approved ab exercises that are safe and will not hurt your back. Okay, we say that our exercises are "chiropractic-approved" by why the heck should that even matter? Let's talk a little bit about chiropractors. Chiropractic care is a health care profession that focuses on the health of the spine and other body joints and their overall connection to the nervous system. The word ‘chiropractic’ in itself means ‘to be done by hand’. Individuals in this profession assist patients to maintain their health without necessarily using drugs or surgery to achieve this goal. Chiropractic care is used as a pain relief alternative for joint pains and connective tissues. What injuries do chiropractors commonly treat? Chiropractors commonly treat joint and spine -related injuries. Specifically, such injuries include neck pains, arm pain, leg pain, and most commonly, back pains and sports injuries. Chiropractors do not heal patients per se. They use adjustments to revive the function of joints. They also make this adjustment in an attempt to support the nervous system. This adjustment involves a safe, specific operating force that is applied to a joint or spine to revive its proper function and reduce pain. Click here to discover more about how chiropractic care is intertwined with the nervous system. Chiropractors believe that the body heals itself without medical intervention provided there is a proper alignment of the body’s musculoskeletal structure. Back pain, though not taken seriously, is a crucial cause of disability worldwide. Most back pains get better with self-care and home remedies in a few weeks. 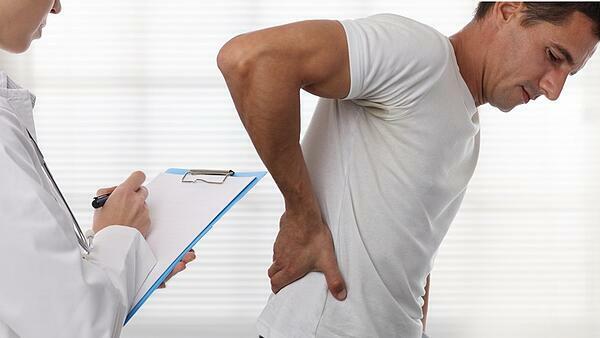 There are, however, some situations that back pains may be red flags for other severe medical conditions. These include when the back pain causes bladder problems, comes with a fever or follows a fall. These severe back pains that need medical attention may not also improve even with rest and can cause weakness and numbness. Others may be accompanied by sudden weight loss. 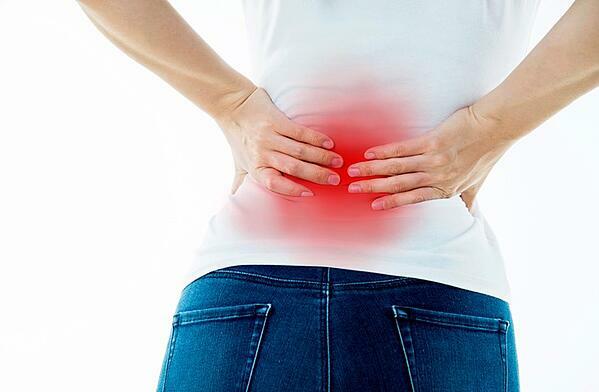 There are several causes of back pain, one of which is position and ligament strain. Continuous heavy lifting and sudden unusual movement may also cause strain to the back muscles and spinal ligaments. For individuals in fragile physical conditions, the continuous back strain may lead to constant muscle pains. A common reason for the increase in cases of lower back injuries is the fact that most traditional approaches for training other joints do not apply to the back. Misinformed individuals therefore unknowingly end up causing harm to their backs during exercises. Chiropractic care for back pain involves the physician taking a medical history of the patient, performing a physical examination then diagnosing the cause of injury. Treatment plans for back pain mostly involve manual adjustments of the joints and nutritional counseling. During exercise, it is advisable for individuals prone to lower back pains to avoid toe touches, sit-ups, and leg lifts. They should instead replace those activities with spatial crunches, hamstring stretches, and wall suits. It is vital for individuals to consult their physicians before engaging in any ab exercise. This caution is recommended because most exercises end up affecting the lower back, hence causing more harm than good to the individual taking part in them. It is also essential to consult physicians and gym instructors because some individuals need more mobility while others need more stability in maintaining the health of their lower backs during ab exercises. Only these specialists can analyze what type of exercise design is suitable for every individual. It is crucial that during ab exercises, individuals ensure that their lower backs are as close to the floor as possible. This can be done by putting a pillow under the back for a start. Those engaging in ab exercises must also ensure that they do not put too much strain on their backs. Some of the best examples of exercises that protect lower back include knee and leg raises on the floor. Individuals should also see to it that they do ab exercises correctly. Doing some exercises inappropriately may damage the back and cause unnecessary injury. Lastly, individuals should attempt to strengthen their lower backs because the back muscles are crucial for posture. They can maintain the health of their lower backs even when doing ab exercises through stabilization exercises. Muscle endurance exercises are more effective in protecting the lower back as opposed to strength exercise. The best exercises that protect the spine should not harm the spine but rather improve the muscle challenge and enhance motor control system that in turn ensures the spine is stable. It is also more recommended for individuals to train for stability rather than stretching in an attempt to increase the range of motion of the back. Most of these exercises aim to improve the spine stability of individuals engaging in the abdominal exercises through various muscle activation patterns. For the front plank ab exercise, the individual engaging in this exercise starts by lying face down. They then put their toes together and ensure that the distance between their arms is shoulder- width. The next step involves getting up on both the toes and the elbows by lifting one’s whole body so that their body weight is on the toes and elbows. The individual then activates their transverse abdominals by pushing their belly button towards their lower back. Individuals must ensure that their legs and body are in a straight line. The buttocks should not be made to sag down, nor should it move up too high. For the final step, the individual holds the position for 30 seconds. They can then move up to 1 minute if they can. It is recommended that the steps are repeated thrice to receive the most benefits. Individuals engaging in the stir the pot exercise should start by facing down, with their elbows on the ball. Their toes should be strongly planted to the ground. They should then move their elbows around as if stirring a pot. The next step involves moving their belly button toward the lower back in order to activate their transverse abdominals. The most important point to remember is to make sure that the lower back is kept stable throughout the exercise. One of the safest ab exercises for the lower back is the stomach vacuum exercise. Individuals can do this ab exercise either when standing or sitting. The first step involves inhaling as much air as possible to fill up the lungs. Afterward, individuals taking part in this exercise exhale and bring their stomach in as much as they can. The next step involves visualizing one’s navel going towards the lower back. An important point to note is that each contraction should only take 20 seconds. Individuals can also manage to breathe while doing this exercise. It is recommended that individuals work up to between 40 and 60 contractions per session for best results. This exercise is effective in protecting the lower back because it involves continuous in and out breathing. This constant breathing movement helps to maintain continuous activation of the abdominal muscle. It also ensures the stability of the spine throughout the exercise. This exercise improves the joint load stabilization in a horizontal position. 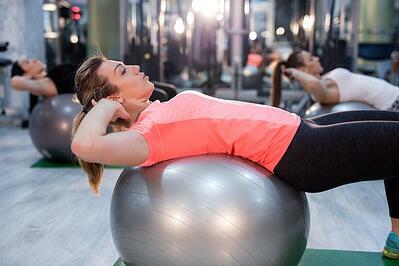 Core abdominals involve the individual lying on their stomach supported by their elbows. The elbows should be parallel to their shoulders. The next step involves tucking the toes under the bridge of their body, away from the floor. They then pull their hands apart, allowing their shoulder blades to collapse together without moving their elbows. Individuals taking part in this exercise could as well fold their feet so that the toes point to the ceiling. They should then contract their thighs. For the next step, they should lift their hips off the floor while pulling back their toes and keeping their feet straight. Finally, they should think of pushing their chest to the ceiling while letting their shoulder blades come together, yet at the same time lifting their hips off the floor. To ensure that this exercise protects the lower back, the individual should roll up a towel then put it in the arch of their lower back. This arched position ensures that the lower back is protected from backache issues. It is vital that individuals doing his exercise follow this step so that they do not end up acquiring lower back related problems that come with ab exercises. The first step in this exercise involves the individual bending the knees in a right angle while lying face up. The individuals should then roll up a hand towel that is big enough to fill the space beneath their lower back. They should then have their arms above their heads. In the next step, the individual brings their belly buttons towards the floor to activate their transverse abdominals. They should then raise their shoulder then look at the ceiling above them. This exercise is effective in protecting the lower back because it allows for specific muscle activation patterns that help avoid injury. This exercise is considered safe for the lower back because it does not involve acrobatic positions that are bad for the back. In the first step of swiss ball crunches, the individual taking part in this exercise should hold their knees at a 90-degree angle. Make sure that there is an arch forming in the lower back. They should then place their hands above their heads and bring their belly buttons towards the floor. This step is to ensure that they activate their transverse abdominals. These individuals should then raise their shoulders and look towards the ceiling without interfering with the arch in their lower back. This exercise is aimed at improving the spinal stability of individuals taking part in this exercise. This is achieved through the grooving motions and abdominal muscle activation patterns that help the individual become immune to lower back pains. Now you know how to exercise your abs in healthy and safe ways! Unfortunately, sometimes back pain is just unavoidable. That is okay, though! You are not doomed to a life of constant back pain. Visit Florida Spine and Injury and meet our efficient medical team of chiropractic doctors. Our chiropractors are experts when it comes to back pain and relieving it. They use natural treatment options that are healthy and pain-free. Click the link below to schedule a Free Consultation with Florida Spine and Injury today.